For the flower grower, June is the month of the rose. 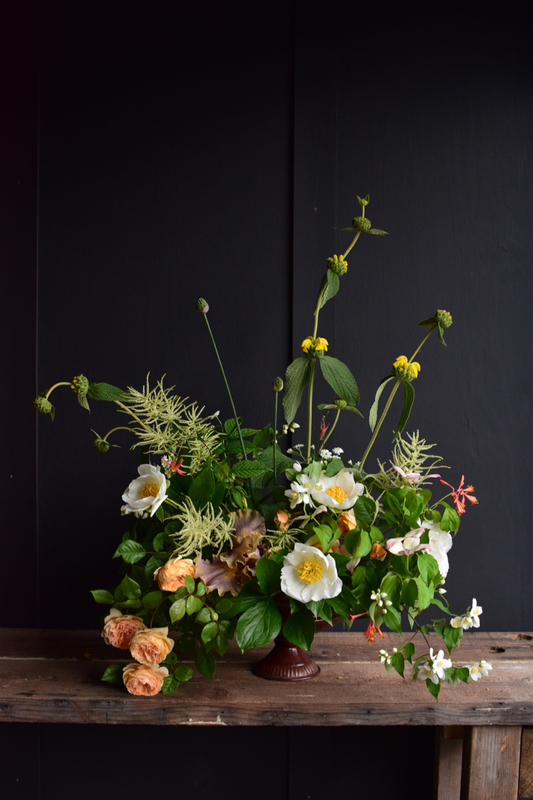 Along with the peonies, columbine, foxglove and bearded iris, here on the Northern hemisphere, it's undoubtedly one of the best times of the year in the cutting garden. It goes without saying that we want to have as many blooms as possible in the cutting garden. In the rose patch, part of this comes down to selecting the right roses. That means choosing roses that are floriferous, will grow well in your zone and microclimate and are in-demand. But also means in choosing roses by their bloom cycle. Some roses will bloom once in the late spring. These are called 'once-flowering' roses. And there are a few roses that will bloom non-stop throughout the growing season. These are called 'continuous-flowering' roses. 'Repeat-flowering' roses are in between - they produce multiple flushes of blooms starting in late spring all the way through till frost (although their subsequent flushes will not usually be as abundant as their first). 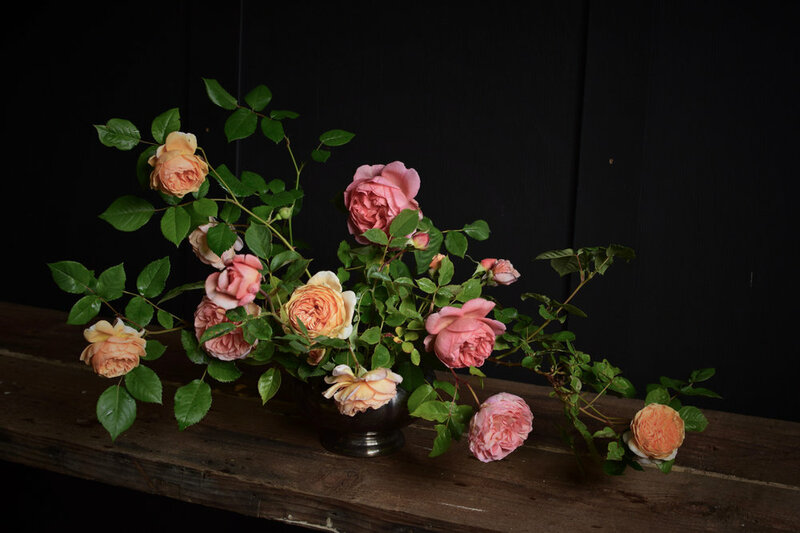 Continuous-flowering roses sound like the holy grail for the cut flower grower, however, the volume of roses they produce throughout the season will be roughly equivalent to what a repeat-flowering rose will produce in their primary flush. So for the cut-flower grower looking for a continuous supply of blooms, repeat-flowering roses are indispensable. The good news is that most modern shrub roses, including most David Austin roses, are repeat-flowering. A few others I love are Tranquility, Jude the Obscure, Distant Drum, Honeymoon, Koko Loco, and Claire Austin. Below are some images of how I've used them in arrangements, and a few things you need to have in place in order for them to keep blooming. This is a bowl of three of my favourite repeat-flowering roses, Boscobel (the dark pink rose), and Crown Princess Margareta (the orange rose), and Evelyn (peachy pink). 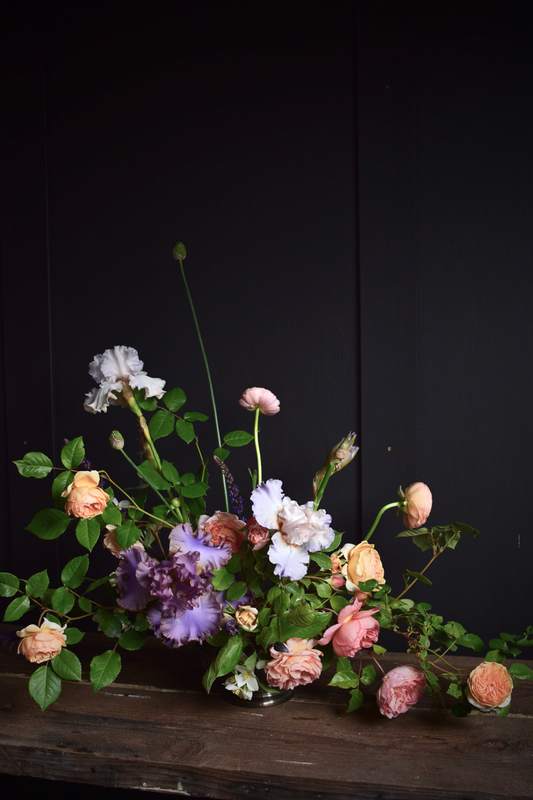 Tucked into the right side of this arrangement is Leander, a glorious spray shrub rose that has wonderful, medium-sized mid-toned pink blooms. On the left, Crown Princess Margareta tumbles out of the front. 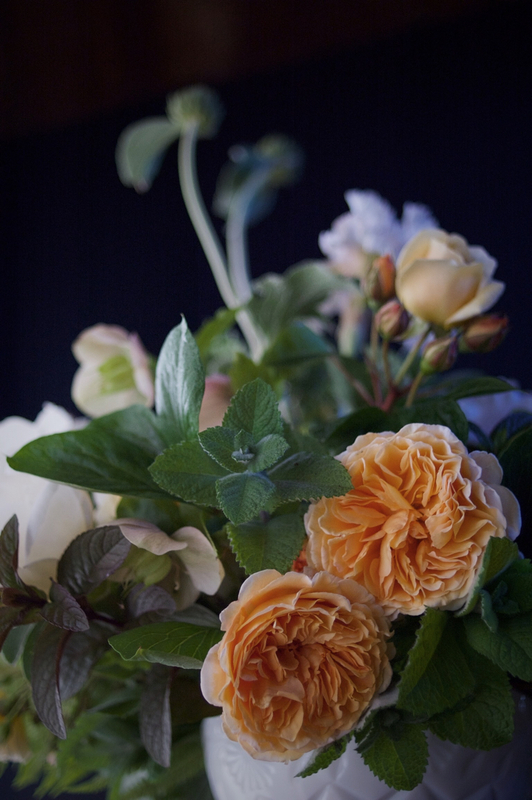 A single multi-bloomed step of Crown Princess Margareta on the left of this arrangement. 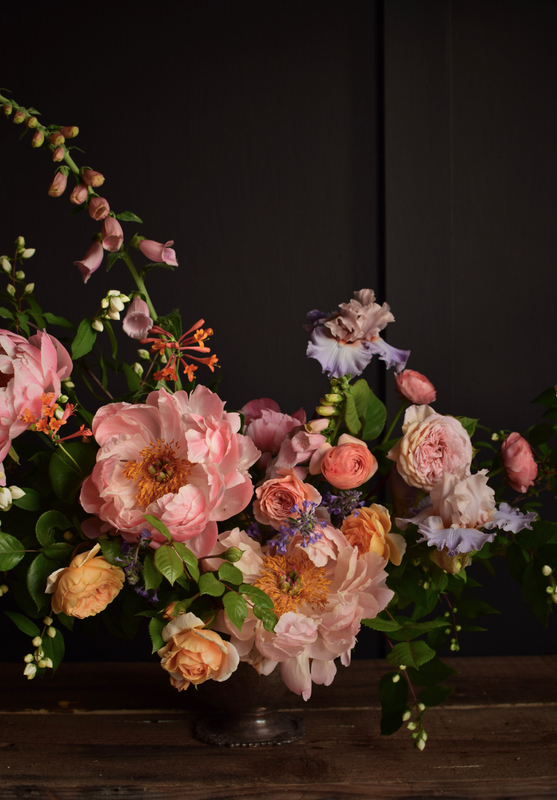 An arrangement with Abraham Darby, Boscobel and Crown Princess Margareta. All roses need a great home in the garden, with deep, rich, well-drained soil, but this is especially true for repeat-flowering roses. Winter pruning (and training in the case of climbers like A Shropshire Lad) is essential. Feed and water regularly throughout the growing season (foliar feeding is a great option), and remember that roses typically require more food and water than other shrubs or perennials.